With 1.5 billion active users, Microsoft Windows stands straight as the most popular operating system in the entire world. No other OS in human history has served these many desktop machines. However, we submit that Windows has no grip over the mobile phone industry, where Android is competing with its over 1 billion active mobile machines. Therefore, we will keep ourselves to personal computers, although it’s a matter of time when the line between mobile phones and computer fade away. Anyhow, despite the popularity of Windows, the OS is not for everyone. The price is high and we found that users often complain about its buggy updates and functionality problems. In fact, the problem of a slow PC has been prevalent through the years, and it doesn’t seem to go anywhere even with its latest Windows 10. All this suggest that we should explore some Microsoft Windows Alternatives. Currently, the big three operating systems; Windows, Linux, and MacOS, are dominating most of the world’s PCs, laptops and desktops. Usually, the operating system is decided based on our use case. The utility of the software, and how it can be expanded for our personal requirements is where we all fall for our usual – unusual choices. Talking about choices, there are tons of OS’s. Some of them are autonomous, giving us an insight into how building an operating system from the ground up is a difficult task. Almost all of the Windows alternatives on our list can be virtually tested. We would recommend you to download and check it for further analysis. Here is the list. The first impression of this operating system feels uncluttered and stable. And to our surprise, Ubuntu looks beautiful no matter what you do on it. This Linux-based operating system runs on countless network servers that allow low privileges to all the users by default. This saves them from corrupting the system files. In addition to that, the program is relatively easy to use and comes with professional support, if you need it. We also found that updating and adding of the software through its APT package management tools is extremely easy. What makes Ubuntu an ideal choice is its security, right from the time you install it. Its built-in firewall and virus protection software adds further to its credits. As far as the operating system is concerned, the program has almost everything that you would need for day-to-day tasks. It has a web browser (Firefox), office suite (LibreOffice,) instant messaging app (Empathy,) Image editor and much more. 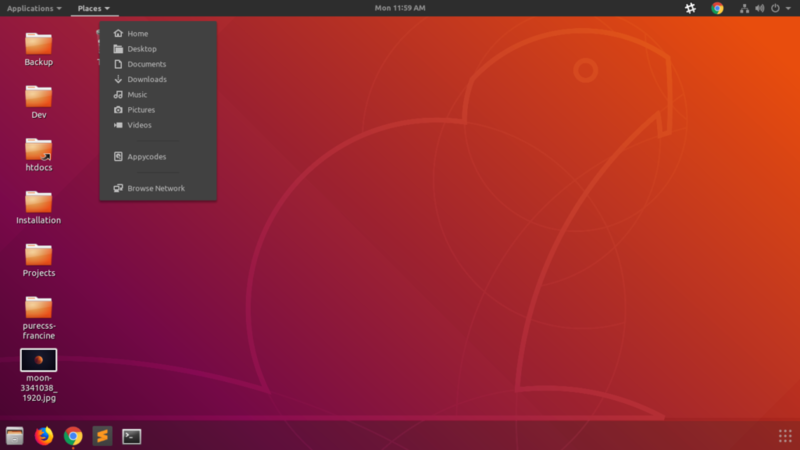 The latest version of Ubuntu has adopted the GNOME desktop interface, which has further improved its overall experience. If you plan to shed some more from Ubuntu and make it further lighter, then an alternative, ‘Lubuntu,’ is also available. It’s open-source software and all its upgrades are the result of the voluntary work by a global community of developers. We give it our first spot. 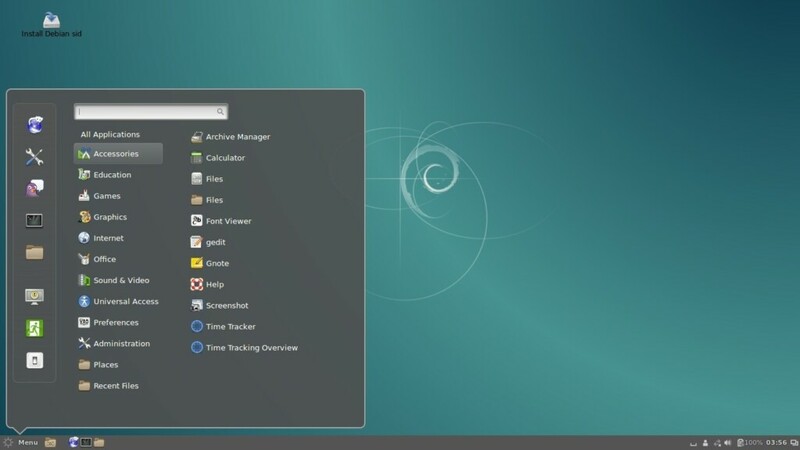 Debian is initiated as a project by an association of individuals who collectively thought of creating a free operating system for general users. This Debian project uses the Linux kernel, which is supported by the thousands of the programmers worldwide. The kernel does the basic housekeeping for the operating system and helps you start your local programs. However, the brand is attempting to relocate its architecture to another kernel. This would facilitate the OS to run on multiple servers and implement different features. One thing that compliments this function is Hurt, free software produced by the GNU project. GNU Project also provides a large part of the basic tools that fill the operating system. The spine of every operating system is the number of supporting programs that the user can install to work on their tasks. And Debian comes with 51000 packages and package manager to install everything with ease–all for free. Its website describes it as a tower where the Kernel forms the base. On top of it, the basic tools form its body, followed by the organizing tools to ensure everything works smoothly. In the tech world, Debian is popular as a universal OS that gives you more control over your system. It is a sure shot way to stability and customization. We give it our second spot. MacOS is arguably the best looking operating system we have reviewed so far. This Unix-based alternative uses multiple graphical interfaces and is designed to run on Macintosh computers developed and marketed by Apple Inc. Since 2002, the OS has served millions of users and comes pre-installed on all Macs. If numbers are important than this OS holds the second position in terms of popularity. Its latest version, Mojave is designed around the needs of its most powerful users, yet its simplicity is structured to welcome everyone. The OS is clever and comes with a new time-shifting desktop that matches the hour of the day. It also features a dark mode, so you can focus on what’s important. The dark mode gives a new dramatic look to your Mac that puts the content in front and appears easy on your eyes. MacOS automatically organizes your file based on your filter; time, date, or tags. Adding to that, there is a new screenshot utility that allows you to capture stills and videos on your screen, Furthermore, the finder on MacOS has become more powerful than ever. It now visually finds your files by giving you large previews with its Gallery view feature. It also allows you to see the full metadata in the preview pane. While testing, MacOS performed as a strong alternative to Microsoft Windows that comes with its own Mac app store where users can discover, create, work and play tabs. This future unfolding platform deserves our third spot. Linux Mint is another open source operating system based on Ubuntu OS and Debian. Despite its different kernel base, it hosts a very similar interface to Windows and MacOS. It arguably is the most popular distribution of the Linux operating system which currently has millions of users. While testing the OS, we were surprised by its completely out of the box experience. It has plugins, codecs for media and wide support for Java, DVD playback and features configuration tools with a web-based packaged installation interface. Adding to that, it supports Ubuntu software repositories that allow it to come in various versions–all free with wide support. There are many reasons behind the success of Linux Mint. The ease that it provides right from its installation to its operations is commendable. Apart from that, we found that the platform is community driven where users are allowed to provide feedback on every aspect of the operating system. This leads to massive improvements in a short period of time. Its latest version Linux Mint 19, also called Tara, is promised of long term support, which is expected to continue until 2023. Since Linux Mint has similar feel and experience to Windows, the switch between them becomes a logical step. We give it our fourth spot. The first two words that come to mind while describing Arch Linux are lightweight and flexible. 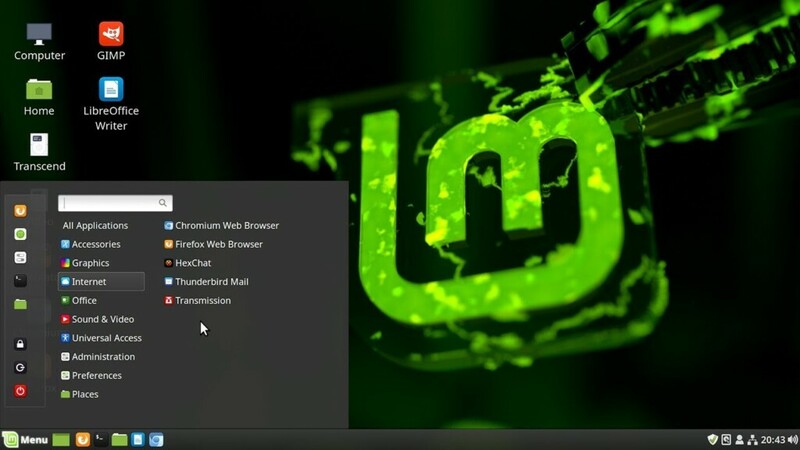 Compared to the other Windows alternatives on the list, we found Linux Mint much simpler to use. Its independent development with i686- and x86_64 optimization for Linux clearly contributes to its bigger picture. Apart from that, the OS uses Pacman, its own package manager, which provides people with the latest software updates and an ability to track them. We also found that Arch Linux has a simple rolling release system, which it refers to as Arch Build System (ABS.) This ABS helps the OS in providing an easy way to build and configure new packages. Users can also choose to share these custom packages by using Linux user repository. This further leads to a wide range of customization that users can benefit from during their installations. 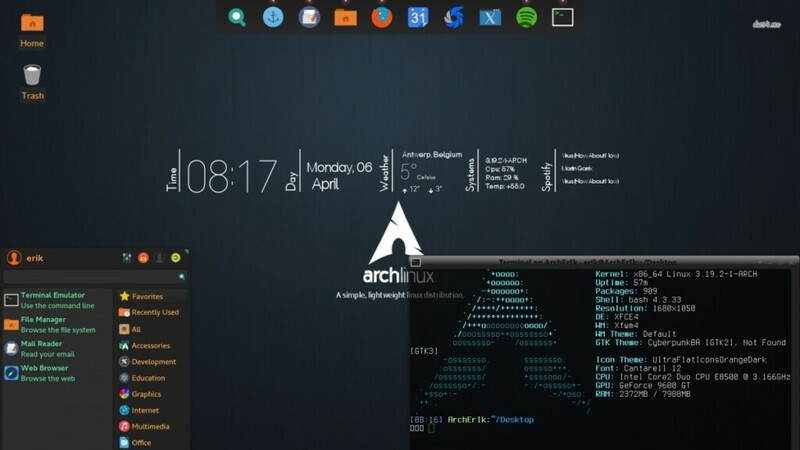 Currently, Arch Linux features optimized packages for both the x84-64 architecture, which is further complemented with its packaged repository. Its website claims that the repository grows in size and quality with each passing day. The other thing that stood out during our testing was its diverse and helpful community that surrounds Arch Linux OS. There is tons of skillset on the platform. Users are encouraged to use the forums and mailing lists to gain extra knowledge on the topics of their choice. This OS deserves your attention. Fedora is designed by an open group called Red Hat, which encourages open participation and uniquely merits the contributors with specified objectives. On their website, we found that Fedora has a clear goal to build a complete purposeful operating system with the help of the Linux community. We found that the brand greatly stresses on open participation. Its Red Hat engineering team continues to improve Fedora with an objective to become an ideal free software that could become more appealing to the open source community. Adding to that, Fedora also promises on producing time-based releases that drop about 2-3 times in a year. Fedora is easy to install. Its integration with GNOME has continued its legacy of being up and current with the latest technology. We found it pretty stable with all our testing tasks. We also noticed that the users in its forum complemented for its wide support and server-based functionalities. For eg, all our devices were automatically recognized without installing any kind of drivers on the machine. Things like this pull Fedora apart from other alternatives on the list. It’s definitely worth a try. 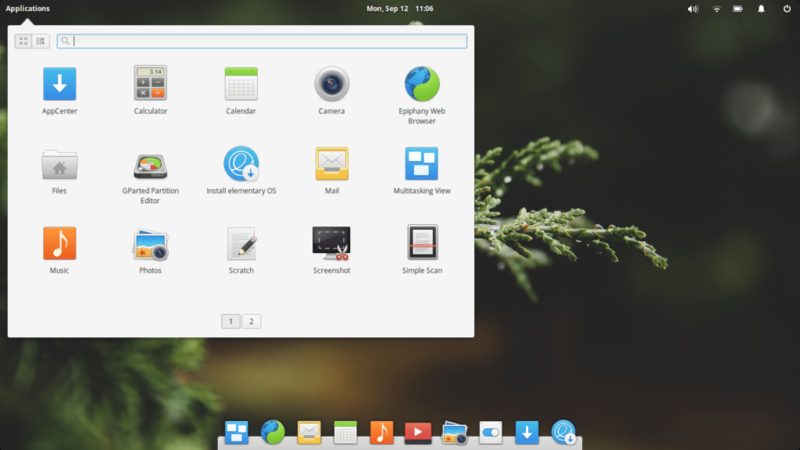 Elementary OS is another Linux distribution based on Ubuntu. While testing, to our surprise, it was amazingly fast and aesthetically pleasing. Many of its UI and usability elements mimic the design of MacOS. This familiarity garnered Elementary OS millions of users around the world. The operating system features a curated selection of apps that are capable of handling all of your day-to-day tasks. The apps are relatively lighter and float quite smoothly in the operating system–keeping most of the resources free. 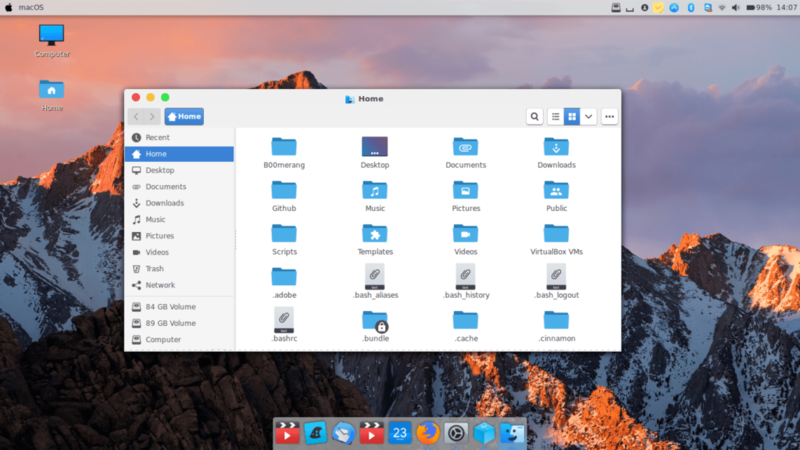 Last year, Elementary OS stepped one step up with its latest 5.0 Juno update. This update has pushed the OS towards becoming one of the most functional OSs on the internet. We found the platform pretty stable and bug-free with tons of new features. The new version of the OS features a pay-what-you-want model on its app store, which allows 3rd-party developers to earn money from developing free software. Adding to that, the control center now offers ‘Night Light’ which tunes down the blue light of the screen, very much like MacOS. The most impressive feature of all is its new picture-to-picture mode, which allows you to take one of your live scenes on the monitor to your active workspace. This comes handy if you have a big screen monitor. 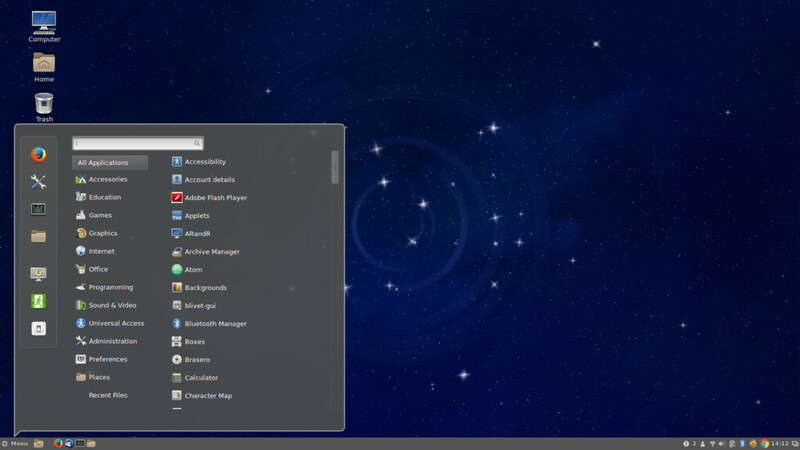 Users who are looking for a clean Linux distribution, the OS 5.0 might be the logical desktop experiences in the wild. Highly recommended! Here, we have explored 7 powerful Microsoft Windows alternatives that come at no cost. These operating systems are diverse. Although most of them are designed for the general population, they tend to have a unique approach to their designs. This makes all of the featured OS’s unique. We would recommend you to do more research on your favorite option, before picking it up for your system.